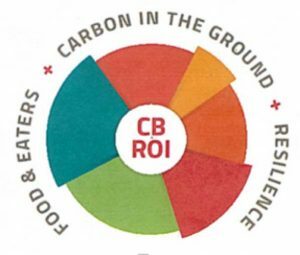 We support investors at all levels to undertake direct relationship investments to ensure that both their food and their money sustain their community values. Food, Farming, and Finance Infrastructure is vulnerable. One model to offset these vulnerabilities is direct relationship driven investing—know your entrepreneurs! Grow community vitality and resilient foodsheds. Invite others to invest with you. Berrett-Koehler is a B-Corp independent publisher, and while our focus is on creating books and products that contribute to our mission, Berrett-Koehler is not just a book publisher but a community bound by a common mission of connecting people and ideas to create a world that works for all. Beyond innovating with our books and products, we strive to implement an innovative business model, practicing stewardship and radical transparency and have received many awards for doing so. Shareholder: Preferred stock: 3 rounds. Located in Esparto, CA, the Capay Valley Farm Shop offers 100% local, seasonal food. Known for its productive family farms, the land has been agriculturally vital for over a century. The shop brings together a diverse partnership of 40 family farmers who share a passion for growing food and community. They aggregate high quality products including organic vegetables, fruits, nuts, meats, olive oil, wine, lavender, honey, flowers, etc. Capay Valley partners undertook a visioning process in 2009 in which they defined themselves as a rural farming community practicing sustainable foodshed principles through environmental, social, financial, and governance practices. Equity investment in collaboration with SOIL (Slow Opportunities to Invest Locally), investor Group of Slow Money NoCal. Short for “edible credits”, Credibles allows customers to fund their favorite food businesses by pre-paying for the food. The company, based out of San Francisco, CA is a Slow Money way to crowdfund small, sustainable, food-related businesses. The re-payment of the funding is in the food the business makes. If a customer is a fan of a particular food business, or likes what they offer, or is a regular, they can buy Credibles in the business. The business basically gets funded by prepaying for what a customer intends to buy in the future. The company has been described as “a new investment model at the intersection of the Slow Food and Slow Money movements” by The New York Times. Equity investor. Cutting Edge Capital provides strategies, tools, and legal services to help companies prepare for offerings of all kinds — Direct Public Offerings (DPOs), securities or investment crowdfunding, private placements — with a primary focus on how to allow for issuers and their communities to support each other. Their experience, legal knowledge, and passion help businesses and nonprofits with innovative and successful capital raising strategies while keeping control and staying mission-aligned. 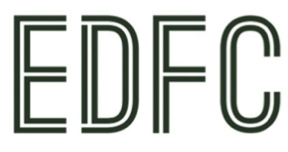 EDFC is a 501(c)3 non-profit Community Development Financial Institution (CDFI), that has been operating since 1995, with extensive lending history. They believe in building a healthy community that encourages resourcefulness, creativity and abundance for future generations. They focus on providing gap financing and acting as lender-of-last-resort for small business, incubate economic development projects, and coordinate economic development activity for Mendocino County. EDFC created an innovative direct public offering (DPO) in which local investors can invest in local enterprises. DPO investor. We tell stories of life and hope, of green victories, of joy. We spread awareness and connect people, especially producers and consumers, in a relationship we believe to be the most vital and ancient of all human interactions. We offer food and farming practitioners Visual Storytelling so they can tell their stories to educate, to market, and to display their transparency. Lender. Accurate Grazing records for your daily decisions. Keeping track of stock and forage performance that alter grazing patterns by changing rotatons by season. Basic planning tools critical to profitability. 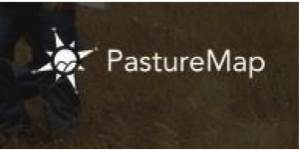 Put Pastruremap.com in the hands of USDA field agents as grant reporting tool, as well as audit tool for certificate agents. Produce more physiological, social, and ecosystem health. Increase food security—better, more productive land under management. Lender. The People’s Community Market is located in West Oakland, CA. Over 25,000 residents in the neighborhood have no easy access to fresh foods, affordable groceries and a positive social setting. People’s Community Market is a new business that is emerging from and building on ten years of food enterprise experience of its sister nonprofit organization, People’s Grocery, which has operated numerous food projects in West Oakland including the Mobile Market and the Grub Box. The market will be a small-format, full-service neighborhood food store, health resource center and community hub that supports West Oakland families to attain healthier and more socially connected lives. Shareholder, 3 rounds. Planting Justice is a grassroots organization with a mission to democratize access to affordable, nutritious food by empowering urban residents with the skills, resources and knowledge they need to maximize food production, expand job opportunities, and ensure environmental sustainability in the Bay Area. Lender. FOOD JUSTICE: We work to address the structural inequalities inherent within the production, distribution, and consumption of industrial foods, specifically recognizing the issues of race, class, privilege, and oppression. ECONOMIC JUSTICE: We believe that by including FOOD in the green jobs discussion, we show how thousands of jobs can be created to usher in a new local and sustainable food system that creates access to healthy food and jobs in low-income urban and rural communities that reinvigorate local economic activity. ENVIRONMENTAL JUSTICE: We believe that communities should challenge the structural inequalities where they live, work, and play that negatively impact their health and well-being while seeking to have equal access to environmental goods including: green space, public transportation, and nutritious/affordable food. SOCIAL JUSTICE: We believe that everybody deserves to be treated with respect and have equal access to food, jobs, and education. A specialty food producer creating unique, delicious products, inspired by regional foods. They create and package value-added products by working with local farmers, growers and wineries who have excess quality produce. 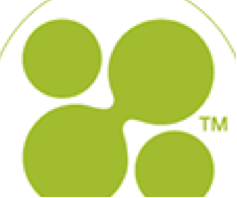 They work with these select clients on their co-packaging projects and help create one-of-a-kind products for the market. Services include recipe and product development, batch-process development, production, lab analysis, nutritional analysis and organic product certification services through California Certified Organic Farmers (CCOF). They also provide white labeling services. Shareholder. SILT is an entrepreneurial nonprofit dedicated to permanently protecting Iowa farmland to grow healthy food. Based in the (Feed and Fuel) Corn Belt, SILT helps guarantee the future of local food by targeting land under development pressure and offering lifetime ground leases to beginning farmers who can gain equity in their home, barn and businesses while growing food in a nature- and neighborhood-friendly way. SILT-owned farms take crippling land speculation out of the farming equation forever. SILT also protects land through perpetual easements, or deed restrictions that require land remain in sustainable food production, reducing the value, and therefore the cost of that land for future generations of farmers. SILT’s plans include creating a title holding company and a related for-profit company that will manage its farms and offer landowner services, increasing SILT’s visibility, diversifying its revenue streams and providing more opportunities for supporters of its mission. 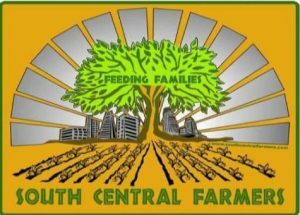 Located in Buttonwillow, CA and a part of the South Central Farmers organization, South Central Farmers has been fighting for 8 years to preserve 14 acres of what used to be open green space in the middle of south central Los Angeles. The farm was thought to be the largest community farm in the United States. In SCFHEF’s first 14 years, thousands of people in the surrounding community benefited by having access to fresh and healthy produce. A majority of the products are not available in local or major produce markets. Additionally, the farm provides access to many Mesoamerican traditional plants used for medicinal purposes. The organization is fighting to preserve the farm and provide a model for healthy communities everywhere. The mission is to provide fresh food to the food desert that is South Central Los Angeles. In addition, the farm improves air quality, water quality and diversity of food. Lender (2 loans). 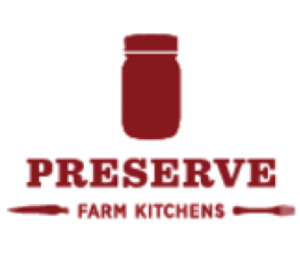 Located in Sebastopol, CA, Victorian Farmstead is a free range ranch and Christmas tree farm. Adam & Laura Parks (third generation owners of the farm) saw a need for a better way to get all the great meat raised in Sonoma and Marin counties to Bay Area communities. After a few different iterations, Victorian Farmstead has learned how to deliver the best of Sonoma and Marin to farmers markets throughout the Bay Area and now has their own butcher shop inside the Community Market at The Barlow in Sebastopol. The goal at Victorian Farmstead is to raise and procure all natural, pasture-fed meat, eggs and poultry. Lender. Located in El Sobrante, CA, Wild and Radish is a sustainable urban farm and eco-village. Their ten acre community will serve as a local foodshed by providing organic fruits and vegetables to the region, raise healthy families, and help others replicate this work through educational programs and strategic support. Seven acres of the ten acres will support a diverse Permaculture farm, with over 2,500 fruit trees and an abundant understory of edible plants, berries, flowers, and herbs. Two acres will be restored with native species and preserved as a wilderness refuge to honor and nourish the freshwater spring and creek that runs through this special piece of land. The remaining one acre will serve as the site for a rental-based EcoVillage community. This housing will accommodate approximately 30 community members and a community education center. Lender.